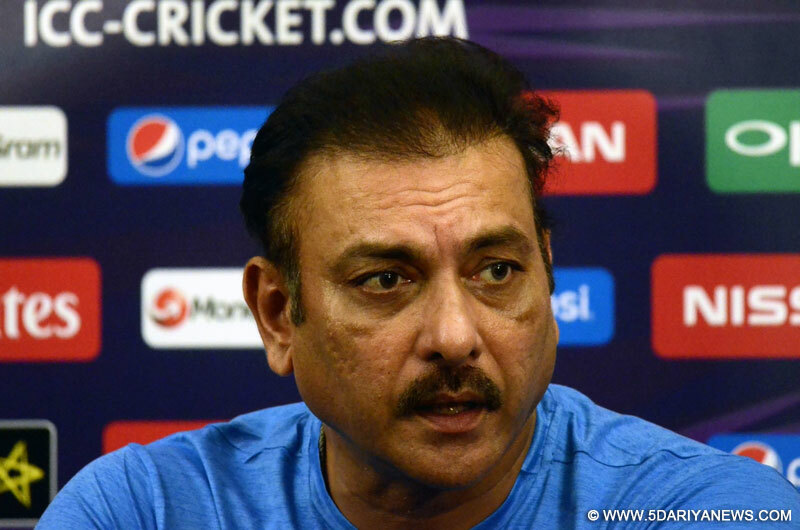 As India prepares for the challenging tour to Australia, that includes four Tests, three ODIs and as many T20Is, head coach Ravi Shastri on Thursday said the time for "chopping and changing" in the ODI format is over and the team management will work on picking the top 15 for the ICC World Cup in England and Wales next year. "See Test cricket obviously is different, this is the last series we play before the World Cup. So the focus will be entirely on that series," Shastri told at the pre-departure presser ahead of the tour Down Under. "It is time to perform as a team and we are looking forward to the tour and then World Cup 2019. As far as one-day cricket goes, we will try and play the 15 that will go to the World Cup." "Chopping, changing over now, grace period over. Now it is time to really get focussed, play as a unit and hopefully not have any injuries where we have to look elsewhere and take it from there," he added.The head coach also cautioned players to pull up their socks and take ownership while seizing those "tough situations" by remaining mentally tough in a Test match.Echoing this, skipper Virat Kohli stressed for maintaining consistency while also urging the individuals to take more responsibility. "We have made decent progress but there is still room for improvement. We understand what we need to work on. The whole combination has to come together to win the series and not just a Test match," Kohli stressed. "We have a great bowling attack now. But the batsmen need to step up as well. Everyone's really keen to correct those things and put in a complete performance. "It's upto the individuals to take up responsibilities," he pointed out.